Need to strengthen the cutting skills? 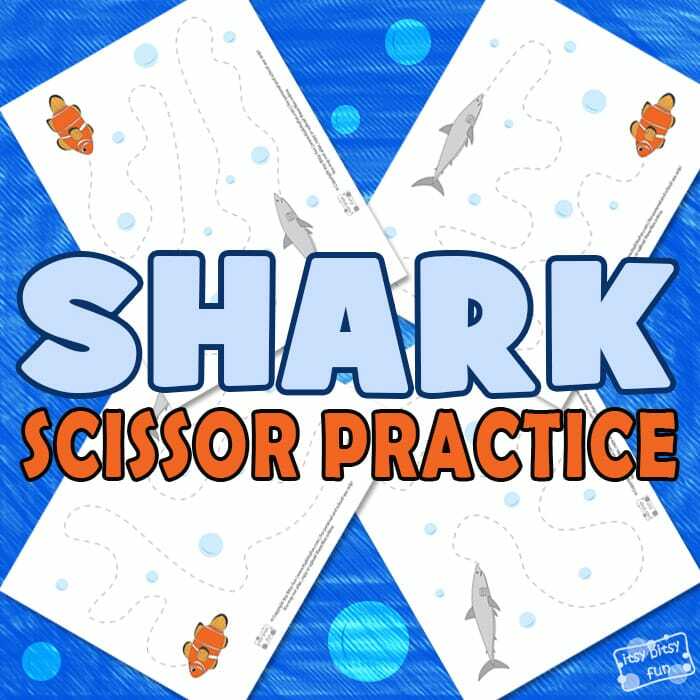 Let’s do some pre-writing practice at the same time with a help of these awesome Shark Scissor Practice Sheets. 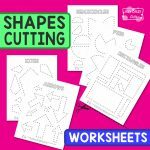 Cutting practice worksheets are just perfect for evolving your kids fine motor skills and eye-hand coordination. 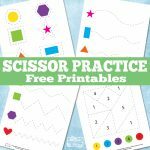 These free scissor cutting practice sheets are perfect for kids in preschool and kindergarten. 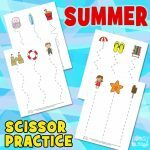 Hot days are here and so are all the cool summer themed worksheets that need printing. This pack includes 4 different pages. Each page has a different line that needs cutting. The goal is to help the shark to catch the clownfish while cutting the page. Cutting along the wavy lines is great for a successful scissor use in different printable projects and activities. Kids can firstly trace the dashed lines and later on use their scissors to cut them out. Show your kids how to properly hold their scissors and encourage them to cut precisely. This free pack is great for beginners and kids that have already had some cutting practice. If your kids manage to cut these pages independently, they can also cut out the shark and the clownfish to practice some more. Between the dashed lines, you can see the underwater bubbles – cut them out and practice some more. 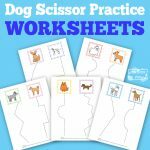 Scissor practice worksheets are always a fun way to strengthen eye-hand coordination and the important fine motor skills. 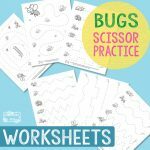 You could also use these scissor exercise worksheets only for tracing practice. Laminate them, to make them last longer and trace the dotted lines with dry erase markers. So let’s print out these free pages, grab your favorite markers and scissors and start exercising. Get your free Shark Scissor Practice Worksheets here. 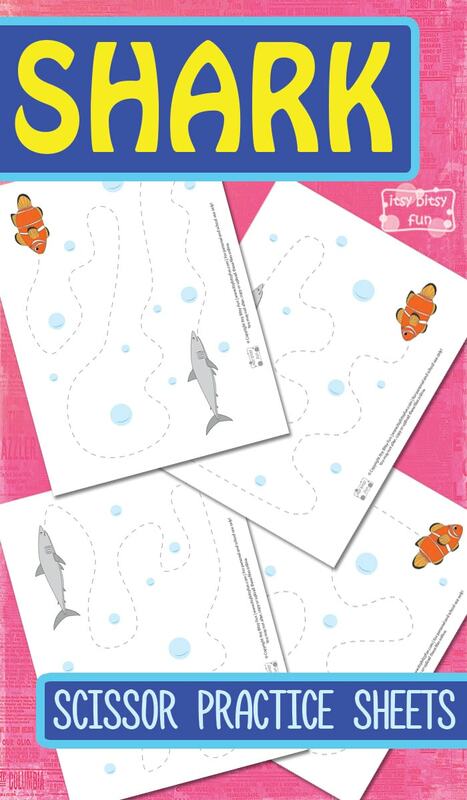 Do some tracing and print out the free Ocean Animals Handwriting Worksheets and take a look at these lovely and free Fish Coloring Pages.